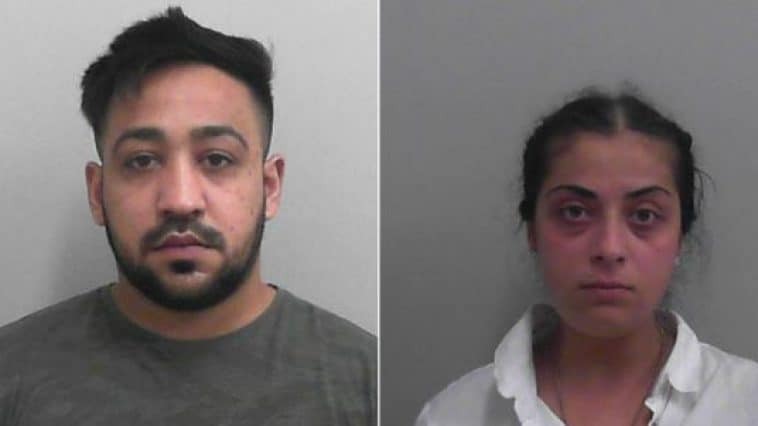 Ion Boboc, 26, and Christiana Tudor-Dobre, 24, were previously found guilty by a jury of requiring a person to perform forced or compulsory labour and fraud. At Taunton Crown Court earlier today, Boboc was given a four year and two month jail term while Tudor-Dobre received a three year and seven month jail term. The judge also issued both of them with a Slavery and Trafficking Prevention Order which are valid for eight years. The victim was a vulnerable man who slept in a cupboard under the stairs at their home in the St Anne’s Park area of the city. He told officers he regarded the defendants as ‘family’. However he said he was not allowed to use the bathroom or the kitchen table. He ate and washed himself, his clothes and his dishes outside. Witnesses reported seeing him drinking from a hosepipe in the garden. The jury also heard that the victim was filmed carrying out tasks set by the defendants. The court was shown footage of the victim being made to eat highly spiced food and being ordered to dance and carry out physical challenges. The victim is now is a place of safety being offered support. We were alerted to the crime thanks to an anonymous call to the Modern Slavery Helpline in July 2018. The public play a huge role in the fight to tackle this sort of exploitation. Community information could be vital. You can report information on suspected modern slavery via 101, online http://bit.ly/2TBLTlh or anonymously through the Modern Slavery Helpline on 08000 121 700.